TOKYO (Reuters) -- Mitsubishi Motors Corp. overstated the fuel economy on eight more vehicle models, in addition to four others the embattled Japanese automaker admitted to earlier this year, the Nikkei newspaper reported. Japan's transport ministry, which had been investigating the fuel economy on Mitsubishi models including the Pajero SUV, would report its findings as early as Tuesday, the Nikkei said, citing an unnamed source. The Nikkei said the company would likely withdraw the affected vehicles from the market and revise its sales catalogues, a process which could take about two to three weeks. Compensation to customers was a possibility, it added. Both Mitsubishi and the transport ministry declined to comment on the report. Shares in the automaker slipped 0.8 percent in early trading. Japan's sixth-largest automaker has been struggling to recover after admitting in April that it had falsified the fuel economy on two of its mini vehicle models, along with two similar models produced for Nissan Motor Co. The scandal led to a suspension of sales for nearly three months, and prompted a slump in Mitsubishi's market value. The company sought financial assistance from Nissan, which agreed to buy a controlling one-third stake for $2.2 billion. An internal investigation has uncovered poor communication, slack governance and pressure on resource-starved engineers as the root of Mitsubishi's problems. 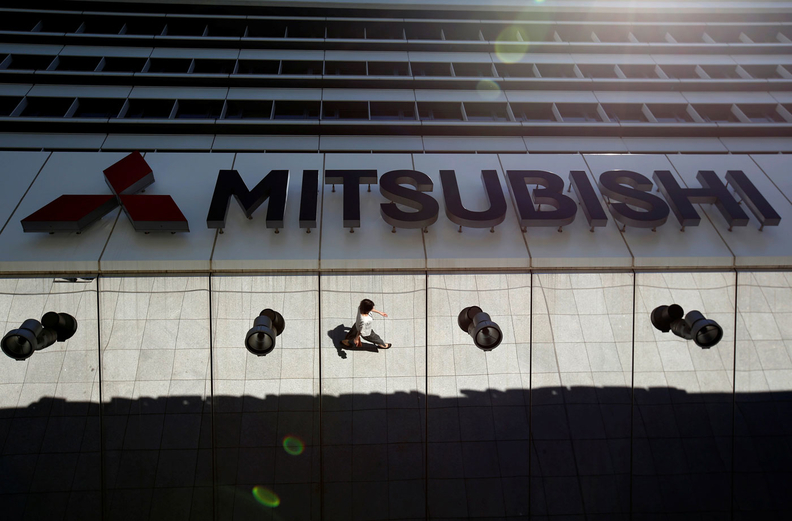 Mitsubishi said last month that a slump in domestic sales led to a 75 percent plunge in first-quarter operating profit, while the company said it booked an extraordinary loss of 125.9 billion yen ($1.24 billion) in the first quarter as a result of the cheating.